Though finding oneself with a sluggish thyroid is extremely common, some thyroid patients discover they are on the other end of the spectrum–hyperthyroidism, aka Graves Disease. One caveat: this is different than the “hyper” like symptoms caused by being on desiccated thyroid when one has low cortisol and/or low iron….of the “hyper swing” caused by the dumping of thyroid hormones into the blood from Hashimotos disease. What is Graves Disease (aka GD)? It’s a specific autoimmune disease caused by antibodies called Thyroid Stimulating Immunoglobulins (TSI), which attack the “Thyroid Stimulating Hormone Receptor” (TSHR), which in turn stimulates the thyroid to produce excessive amount of thyroid hormones. Janie Bowthorpe’s own mom had this when she was around 20 years old, and photos showed her to thin as a rail thanks to the Graves-caused excess of thyroid hormones. What are symptoms of Graves disease? What tests can I do to confirm Graves? Sometimes, your first clue is having excessively high levels of free T4 and free T3, patients have noticed, in addition to a very suppressed, below-range TSH. But to confirm it, there are two tests which are commonly used; the TSI and the TrAb. The TSI (thyroid stimulating immunoglobulin) is going to measure the amount of thyroid stimulating immunoglobulin in your blood, i.e. 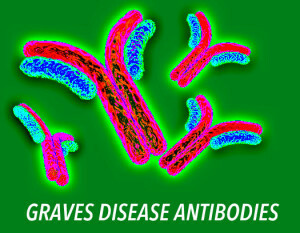 the IgG antibodies. In addition to a high TSI, some patients will also have a high TPO (Thyroid Peroxide) antibody), called the anti-TPO. Patients with Hashimotos can also have the anti-TPO antibodies but not the TSI. TrAb stands for thyrotropin receptor autoantibodies and some doctors consider this the primary test for Graves since you won’t usually see this with Hashimotos or Hashitoxicosis. You’ll see at least three treatments recommended by doctors. 1) Radioactive Iodine: this method involves drinking RAI-131, which will destroy your thyroid cells since your thyroid gland collects iodine. But there are risks which patients do not like, such as worsening of your eye problem and more. Many patients regret the use of RAI. Janie’s mother used RAI and didn’t seem to have any long-term affects. 2) Anti-thyroid medications: these medications end up “controlling” the condition, but have been very effective for many. It may take a few weeks to get relief of symptoms, and remission has been achieved in many individuals. Two common names are methimazole (Tapezole) and propylthiouracil (PTU). As will most prescription drugs, there are potential side effects such as an itchy rash, compromised immune system, and liver stress. 3) Surgery: this has happened to many patients, and usually involves partial or total removal of your gland. Janie’s mother had most of hers removed with a little left, but that little bit became hyper nearly 20 years later along with bulging eyes, and she had RAI to kill the remaining thyroid tissue. And a fairly new FOURTH OPTION: Low Dose Naltrexone. 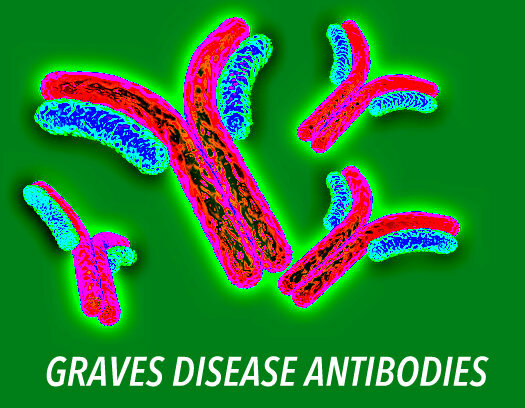 Graves patients have reported a lowering of antibodies with their use of LDN, as well as improvement of Graves-related symptoms. Typical starting doses are as low as 0.5 mg, or 1.5 mg, then patients raise every few weeks until they get up 3 mg or 4.5 mg at the most. It will initially cause vivid dreaming, but that subsides in a few weeks. Google “Graves LDN” and you’ll find a lot to read. I see a lot of Graves patients on STTM’s hypothyroid groups. Why is that? Many Graves patients ended up having their thyroid removed via surgery, and once that happens, hypothyroidism sets in. Others tried medications for years and could never get rid of the Graves, so surgery was also their option. Many of these patients weren’t aware of LDN yet. It’s fairly new. I have hyper symptoms yet no Graves antibodies and good cortisol levels. What is that about?? Sometimes just a nodule on your thyroid can be the cause, called a “toxic autonomously functioning thyroid nodule”, and this is where an ultrasound comes in handy. It can even be several nodules clustered together. Treatment is similar to Graves. Some of these toxic nodules go away on their own. Here‘s good information about these toxic nodules. Where can I get more information on Graves? I really like what Elaine Moore offers here. To see reasons why you might not want RAI, go here.